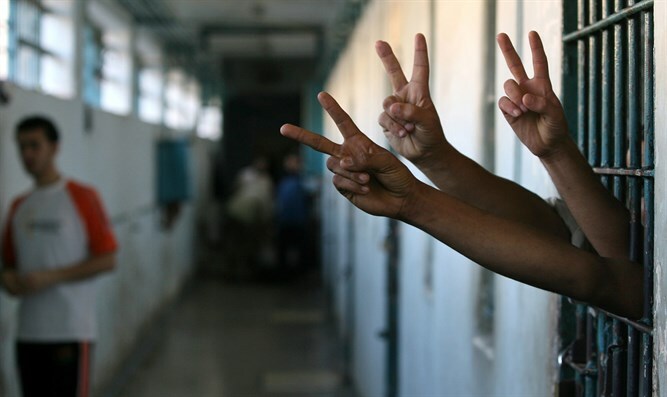 Palestinian Authority reiterates its commitment to pay terrorist prisoners and families of "martyrs". Shukri Bishara, the Palestinian Authority (PA) official in charge of finances, said on Thursday that the PA government would continue to pay the families of the “shaheeds” (martyrs), the wounded and the terrorist prisoners, even after the law that was approved this week by the Knesset. The law stipulates that tax funds to the PA will be withheld as long as the PA continues to pay salaries to terrorists who attacked Israeli citizens. In a conversation with the official PA news agency Wafa, Bishara said that the Knesset's decision would add an economic burden on the Palestinian Authority and increase the budget deficit. However, he added, Palestinian society must deal with this challenge because it is a moral obligation. "The responsibility of the state and the homeland is to take care of our sons and daughters when they are illegally arrested in Israeli jails," Bishara said. "We have an obligation not to turn our backs on them, but rather to adopt them. They can withhold as much as they want, we will not shake off our responsibility." Bishara noted that some 6,500 security prisoners are held in Israeli jails, adding that the PA is obligated to take care of their families and their needs in education and health even after they are released from prison. Wafa further reported that the total amount of allowances for the families of “martyrs”, wounded and prisoners reaches $28 million a month (about $300 million a year). Many of the prisoners are serving prison sentences for involvement in murdering Jews or trying to murder Jews, including suicide bombings. PA officials made clear earlier this week that the PA will never cease paying terrorists' salaries, threatening that Prime Minister Binyamin Netanyahu would have to pay more if the salaries were deducted from the payments to the PA.